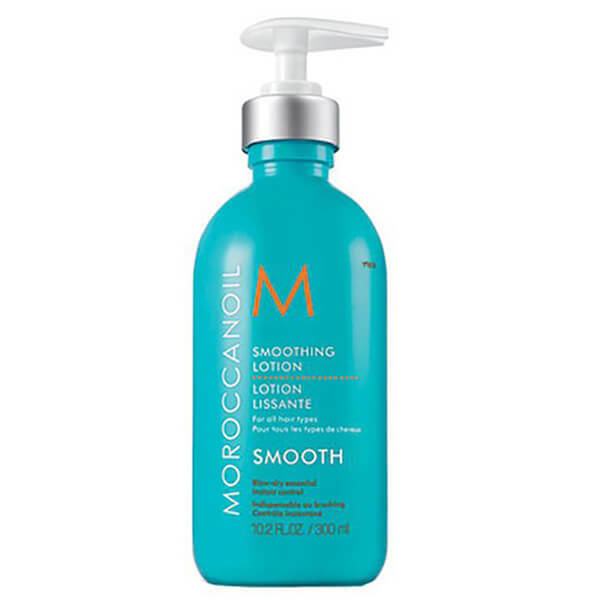 The Moroccanoil Smoothing Lotion is specially formulated with argan oil and argan butter to target frizzy, unmanageable hair. Its lightweight formula has been created with vitamin E and essential fatty acids to leave hair soft, smooth and full of shine. 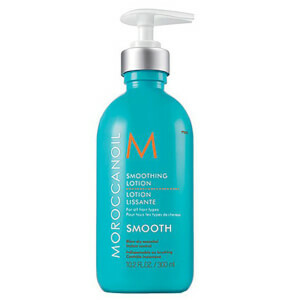 An all-in-one lotion to make blow drying and styling easier, whilst protecting hair from humidity and heat damage. E.N. Directions for use: Apply a small amount to damp hair and blow-dry as desired. Aqua/Water/Eau, Dimethicone, Cetearyl Alcohol, Glycerin, Parfum/Fragrance, Behentrimonium Chloride, Polyquaternium-70, Polyquaternium-11, Steareth-2, Argania Spinosa (Argan) Kernel Oil, Tilia Tomentosa Bud Extract, Dipropylene Glycol, Oleth-10, Caprylyl Glycol, Isopropyl Alcohol, Hydrogenated Vegetable Oil, Glyceryl Stearate, Chlorphenesin, Citric Acid, Sodium Benzoate, Potassium Sorbate, Phenoxyethanol, CI 26100 (Red 17), CI 47000 (Yellow 11), Eugenol, Alpha-Isomethyl Ionone, Linalool, Hydroxyisoheyl 3-Cyclohexene Carboxaldehyde, Butylphenyl Methylpropional.